There is a lot of distrust among the general public about doctors, hospitals and healthcare providers in general. A lot of this started after healthcare started getting 'corporatized'. It is a well-known fact that doctors get referral fees for most medical services - lab tests, pharmacy prescriptions, hospital admissions, ICU admissions etc. 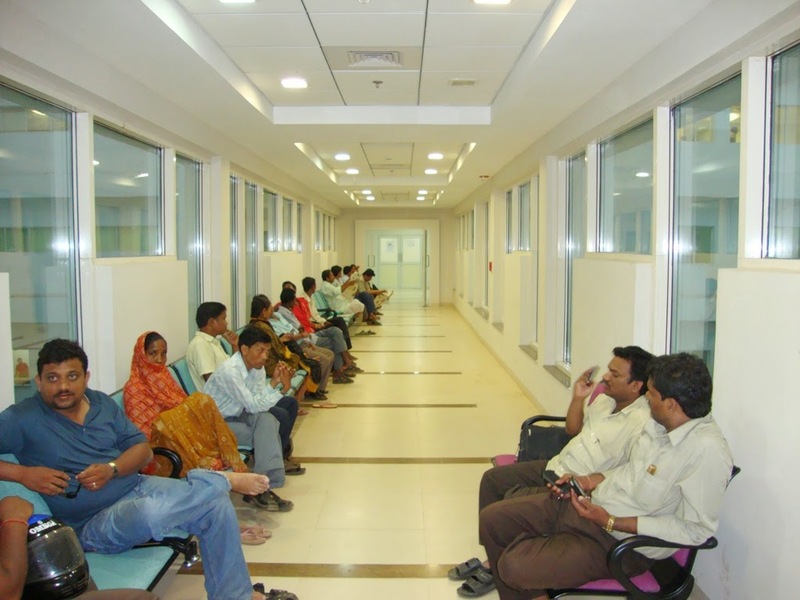 Many corporate hospitals also are known to set targets for their doctors for these services. Across the world, this has led to an increased burden on the payers - whether they are insurance companies, governments or the patients. This cannot be good for anyone in the long run. Atul Gawande (a surgeon of Indian origin in the US, author of bestsellers like Better and The Checklist Manifesto) wrote in an excellent article for The New Yorker, "An avalanche of unnecessary medical care is harming patients physically and financially." Gawande writes, "The virtuous patient is up against long odds, however. One major problem is what economists call information asymmetry. .... Doctors generally know more about the value of a given medical treatment than patients, who have little ability to determine the quality of the advice they are getting. Doctors, therefore, are in a powerful position. We can recommend care of little or no value because it enhances our incomes, because it’s our habit, or because we genuinely but incorrectly believe in it, and patients will tend to follow our recommendations." Another major problem, Gawande highlights, "... is the hidden harm: unnecessary care often crowds out necessary care, particularly when the necessary care is less remunerative." The whole model of incentivising doctors for tests and procedures has just too many problems. There are many doctors who have started resisting this model. There are some companies which are being formed that are changing the model to show that doctors can still make money (nothing wrong with that!) but by ensuring better care. The US's WellMed has a model where "if a doctor improved the quality of care, this would save on costs, and WellMed would share those savings with the doctor in the form of bonuses." This is where healthcare should be moving towards. Doctors should be incentivised, no doubt. They should be allowed to make money. After all, they spend years learning medicine, spend lakhs of rupees getting their education. What is wrong in them trying to recover those costs and lead a comfortable life? Aren't they entitled to a good life as well? Of course! The only issue is that this should not be at the patient's expense. This should happen only if they ensure that their patients do well! Outcomes based incentives are the way to go. Despite people cribbing about corporate hospitals, these hospitals are the ones that have brought quality healthcare to the Indian population. Walk into a government hospital today and you see the difference. Many of these hospitals are very badly run. They just do not have the infrastructure to cater to the large volume of patients. The only way patients have got access to quality is due to these corporate hospitals. There's no denying that the latest technology has been made accessible to the patients in India only due to the corporate hospitals. Many doctors are also becoming increasingly frustrated with the system that accuses them of various unethical practices but glosses over the constraints they are operating under. This led to a doctor saying he would never advise his child to become a doctor in India. What needs to be done is to turn the model on its head and make sure that corporate hospitals remain profitable, doctors continue to earn a decent income and yet patients don't have to undergo unnecessary procedures and tests. I'm sure the MBAs and consultants that are managing these hospitals can figure this out! A great beginning has been made by the SLIM (Society for Less Investigative Medicine) initiative started by some Indian doctors. This society aims to reduce the number of investigations and interventions for patients. An article about the initiative says, "Doctors from across the country and non-medical professionals 'frustrated by the sheer avarice on display in the entire field of medicine' have expressed their desire to be part of the SLIM initiative." One suggestion to SLIM - give people who are part of this initiative a certificate or a poster they can proudly display in their clinics and increase awareness about this initiative. When patients go to SLIM empanelled doctors they can be sure that they would not be subjected to unnecessary medical expenses. Any system evolves. The Indian healthcare system must also evolve. Just like Rome, it cannot be built in a day. The good part about this is that people have started realising this and some action is already being seen. I only hope this continues and the system changes so that all can win - hospitals, doctors and most importantly, the patients.